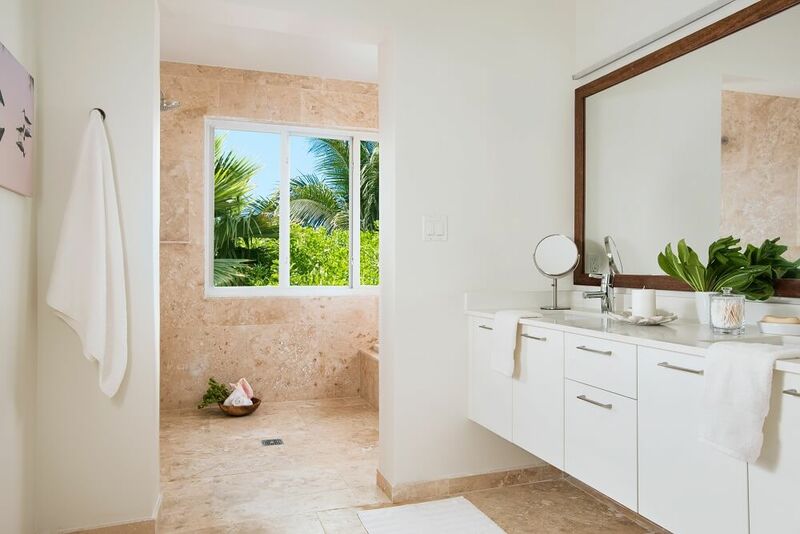 Featuring impressive panoramic views of the Atlantic Ocean and the Caicos Bank. The Two-Bedroom Ocean-View Suite is sited on an elevated location with gentle sloping beach access. Double sliding glass doors offer indoor/outdoor living, opening to a wraparound covered terrace, with expansive ocean views. 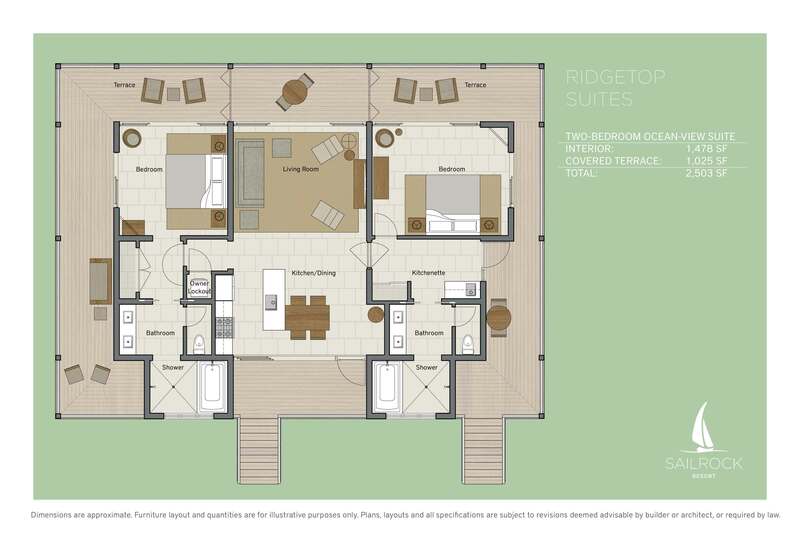 The suite also includes a fully equipped kitchen with island, washer/dryer, dining and living room. Two bathrooms both of which have double vanities, large soaking tub, WC, and an over-sized walk-in shower. Conveniently located with direct access to all of the Sailrock Resort amenities.